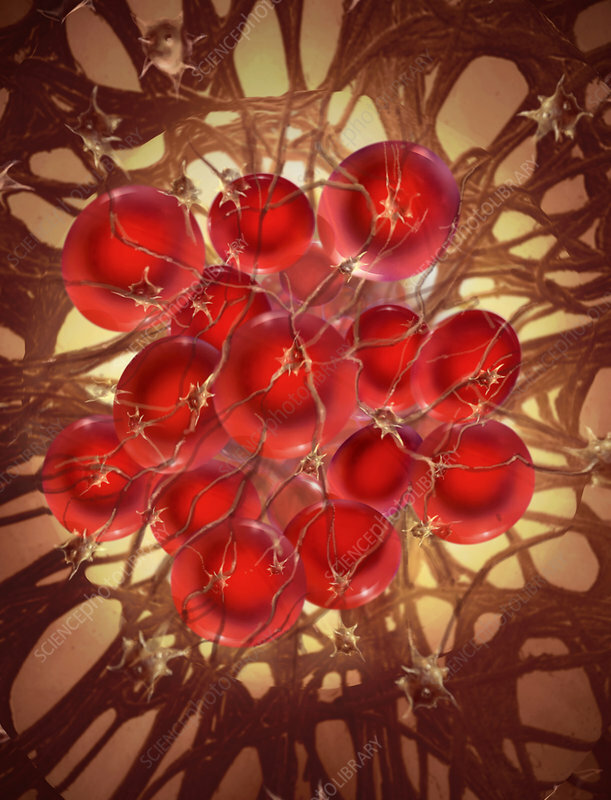 This is an illustration of a blood clot. Strands of fibrin trap blood cells and platelets into a mass that may partially or fully block a blood vessel. Blood clots, left untreated, are a major cause of ischaemic stroke, heart disease, and cerebral thrombosis in the brain.